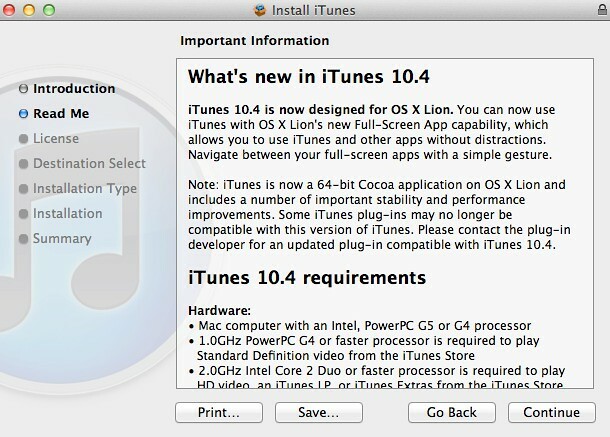 Alongside OS X Lion and the iWork 6 update today, Apple has released iTunes 10.4 for full OS X Lion compatibility. The new version of Apple’s digital media player features support for Lion’s native full-screen abilities, 64 bit Cocoa support for OS X Lion users, improved stability, and better performance overall. The update is available via the Mac’s software update application or through Apple’s online download page. You can now use iTunes with OS X Lion’s new Full-Screen App capability, which allows you to use iTunes and other apps without distractions. Navigate between all your full-screen apps with a simple gesture. This 10.4 release comes ahead of iTunes 10.5, which is already in the hands of developers.